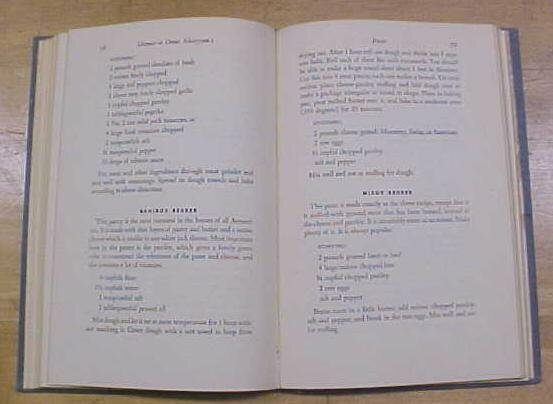 This is a very nice hardback recipe cookbook titled "DINNER AT OMAR KHAYYAM'S" by George Mardikian. It is also signed by the autor, the signature written to Florence. 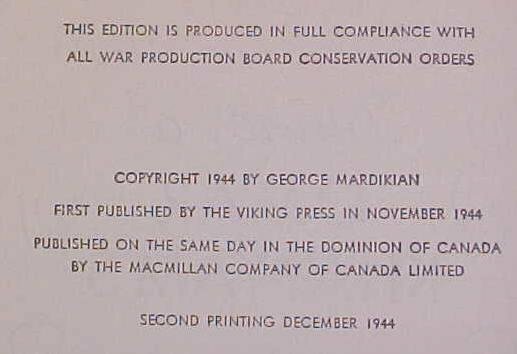 It is copyright in 1944 by The Viking Press. This is a first edition, second printing. It has no dust jacket. The hardback cloth cover is in very good condition it is medium blue in color with white lettering and decoration on the spine and front cover. The pages are very clean and white, very good spine, and binding, with almost no edge wear on the exterior of the cover boards. This book's focus is on American (San Francisco CA.) restraunt cooking, one chapter on desserts. Based 15 chapters Appetizers and cocktails, Soups, Salads, Eggs, Fish, Bread, Pasta, Fowl, Pilaff, Meats, Vegetables, Desserts. There is 150 pages, including an complete index, makes it easy to use. A nice clean signed copy! 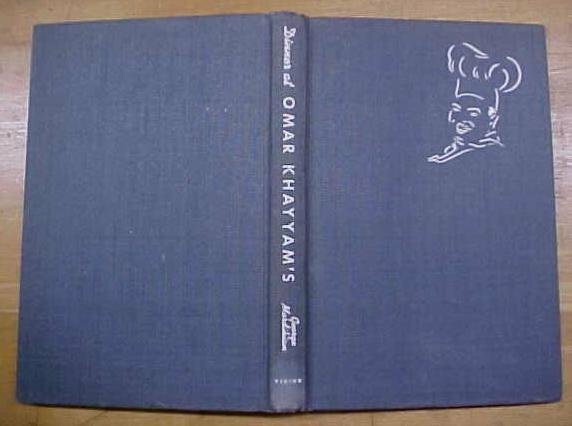 Items Similar To "Dinner At Omar Khayyams Cookbook 1944 Signed"